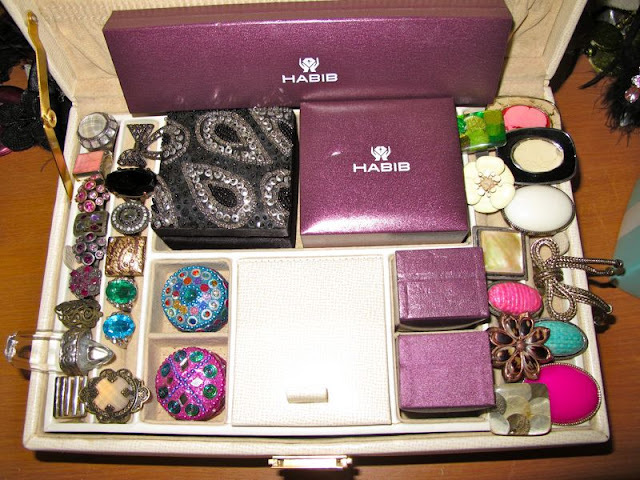 Shazwani Hamid's Blog: So How Do You Store Your Jewelries? Accessories and me can never be apart. 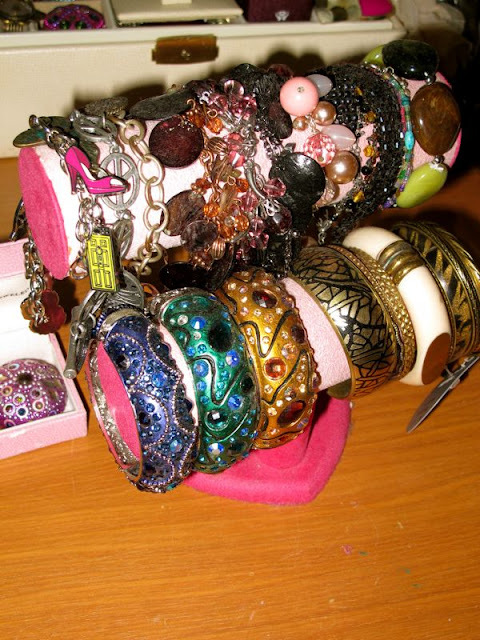 "Find me a woman who doesn't love accessories! They're like toys for grown-ups, aren't they?" - Victoria Beckham. I would always wear at least one, to just about anywhere I go! 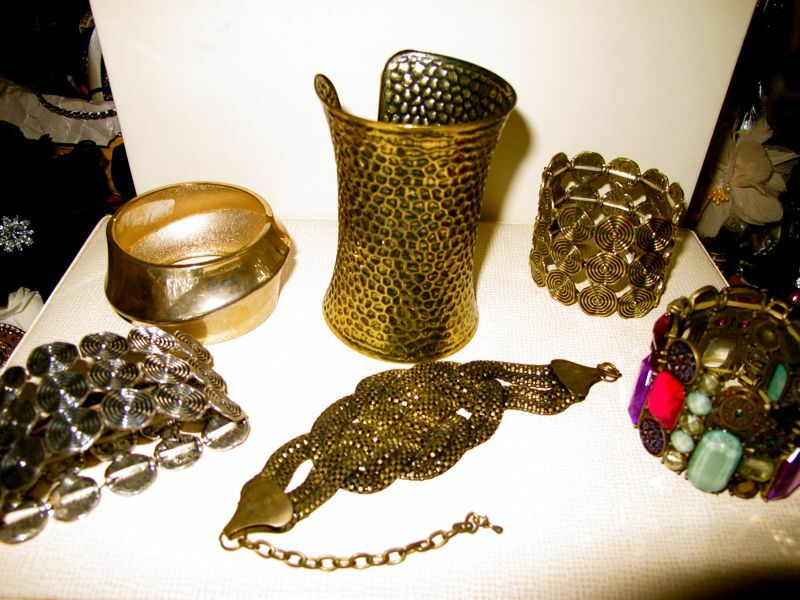 Be it a ring, or a bangle, or a belt, or some necklaces around my neck or even a chic bag! Heyyy...a bag is an accessory too, no? hehe. So yeah, I would never leave the house without an accessory on me! Accessories personalized an outfit. They last a lot longer than clothes and they can be a good, quick and not too expensive treat on days when you really need one! For instance, I always ended up visiting (and buying) Diva store whenever I dunno what to get for myself when I'm in a mall. 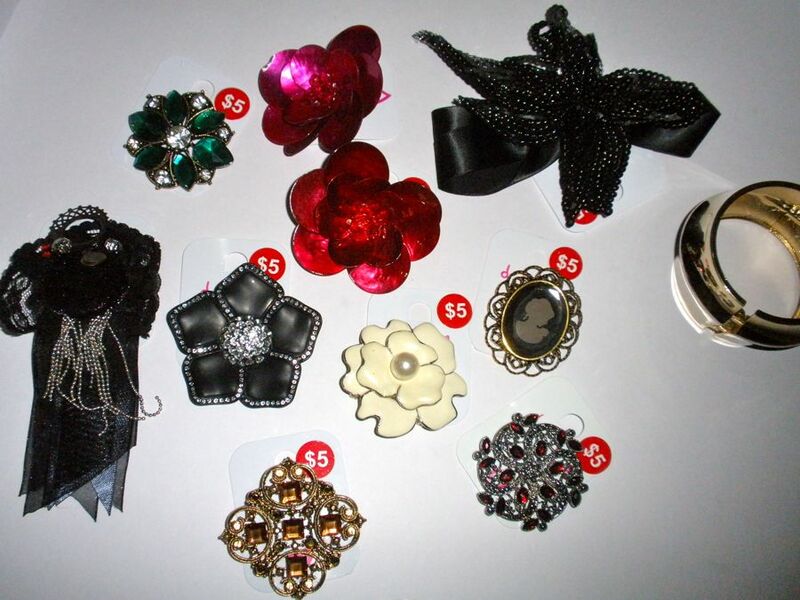 They're consider cheap and always chic to wear! 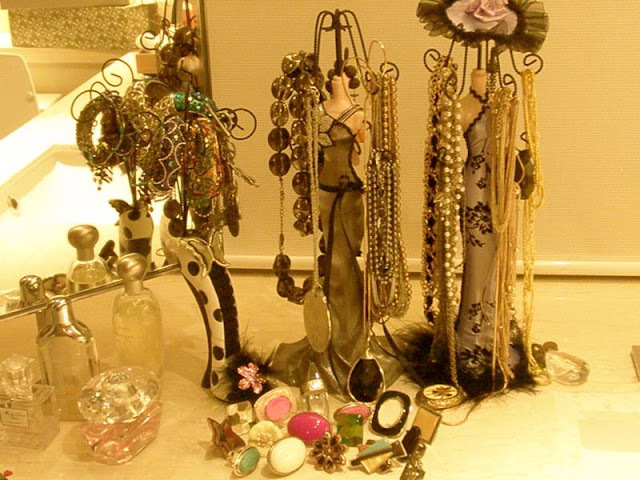 I think, it is worth to spend or should I say...invest in some accessories as compared to clothes, because you'll tend to use your accessories more often than your clothes. - You'll carry your bag everyday, whereas you probably won't wear the same top for every single day! Am I righttt? Anyways, among the stuff that can be called as accessories i.e bags, shoes, belts, jewelries, hats, brooches, scarves, hair pieces, etc etc... what is your most favourite item, ladies? Anyway, today.. I wanna talk about some jewelries..since I have received some requests regarding my fashion jewelries collection. I know, you've seen my photos with really big rings or chains and whatnot, right? So today.. 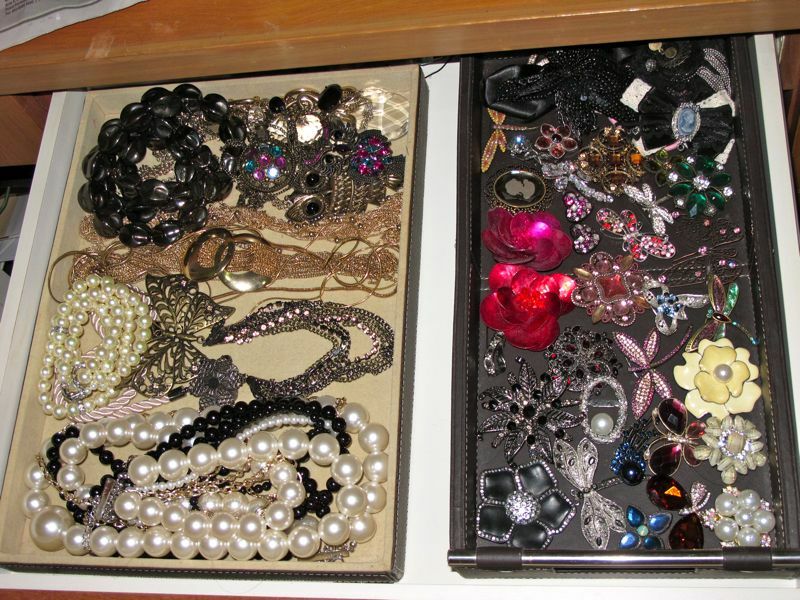 I'm gonna share with you some of my favourite pieces and how I store these jewelries! 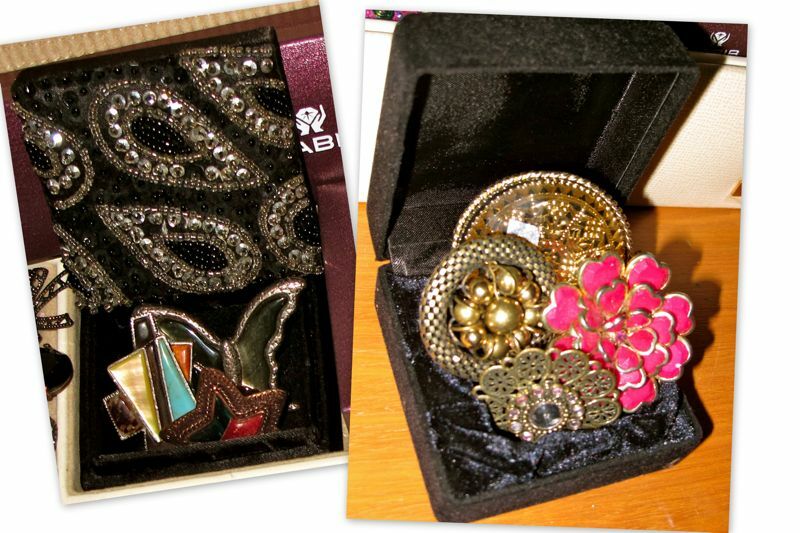 (Mom just gave me her jewelry box! - Thank you ma! ^_^). Just so you know...before any of you jump into conclusion that I wanna show off or anything... Oh well, this post is really not for me to brag. Seriously. I mean..why would I wanna brag my jewelries that I mostly bought for like 5-10 bucks? haha ;p (You've seen it yourself, right?). Well.. This is just for me to share how I store them (since I know a lot of girls would love to get some ideas on this) and to share with you, some of my favourite pieces, since some of you have asked me! That's why I need a proper jewelry cupboard. So I can just choose, grab and go! Yes, not just a box, but a jewelry cupboard! 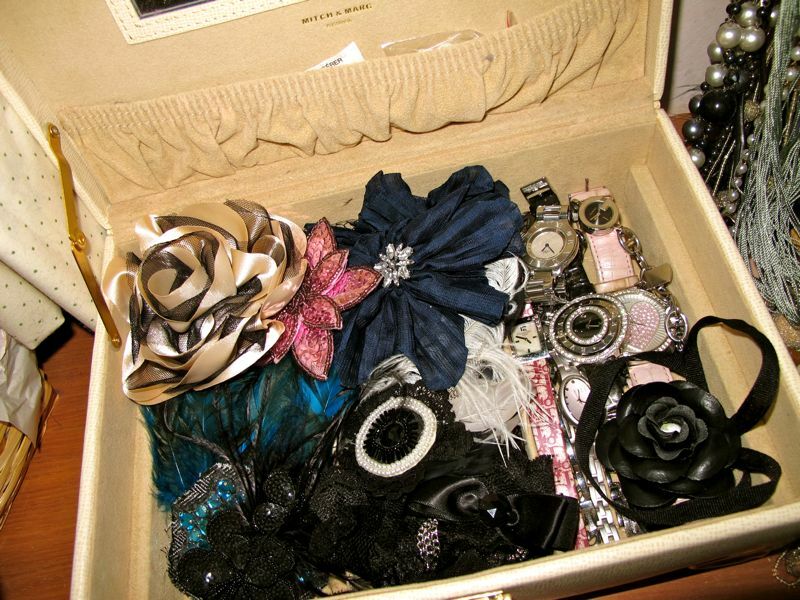 Because apparently, my overflowing accessories can't fit in the jewelry box anymore! tskk. 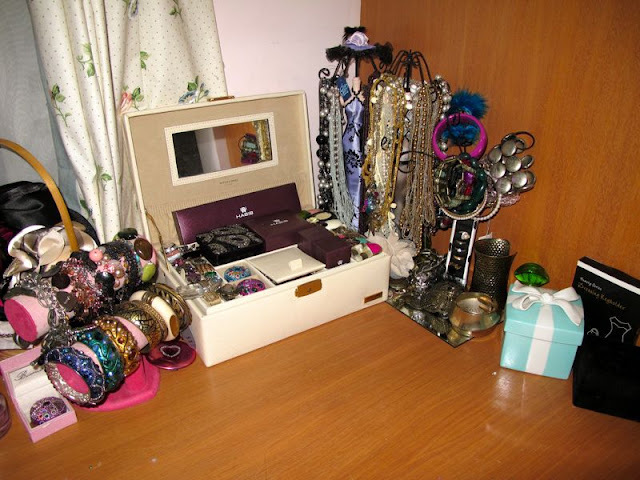 But well...at least these days I stored these babies of mine quite better than the last time... Just so you know.. Last time, I used to put my accessories lying on the dressing table.. 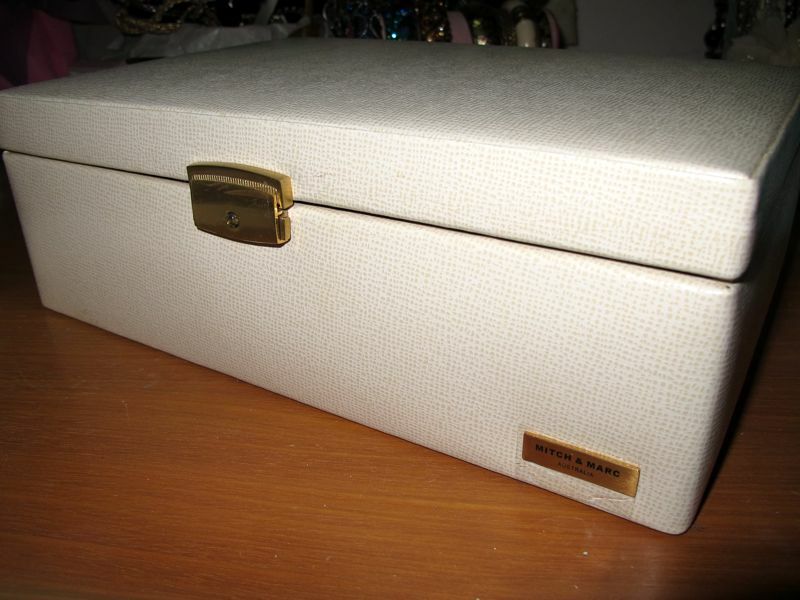 So the other day, mom gave me this Mitch & Marc awesome jewelry box for me to store all my favourite pieces in here! Here's how it looks like when I have stored all my favourite pieces into the box! 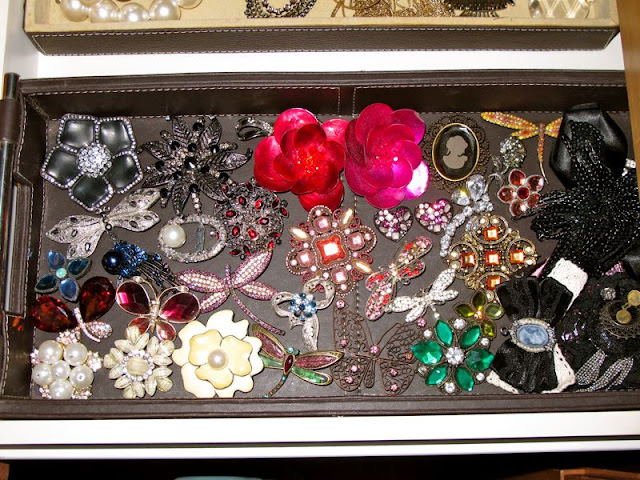 And in the trinket boxes, I put all my pins and small brooches. 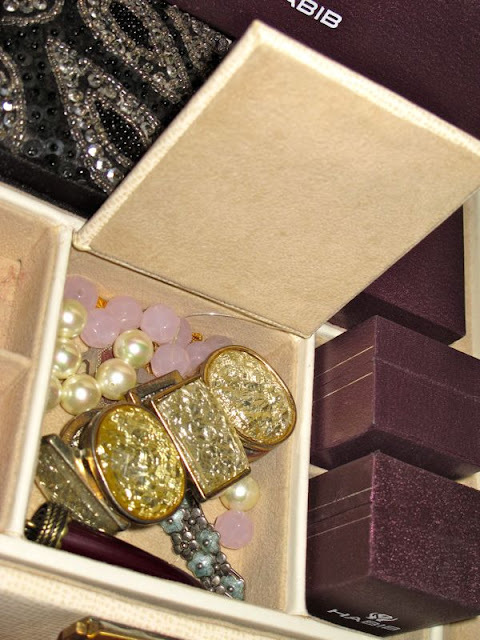 And the purple boxes on the other hand, I store all my real jewelries given by my parents. Whilst the black sequined box, I store another fashion rings of mine. Those that are considered as.. quite big rings.. I have two of these boxes actually.. Both, I stored my fave bold rings in them..
Ok..moving on to the lower part of the box..
Anyways...let's have a look at some of my fave items around here..
And these are some flower power! 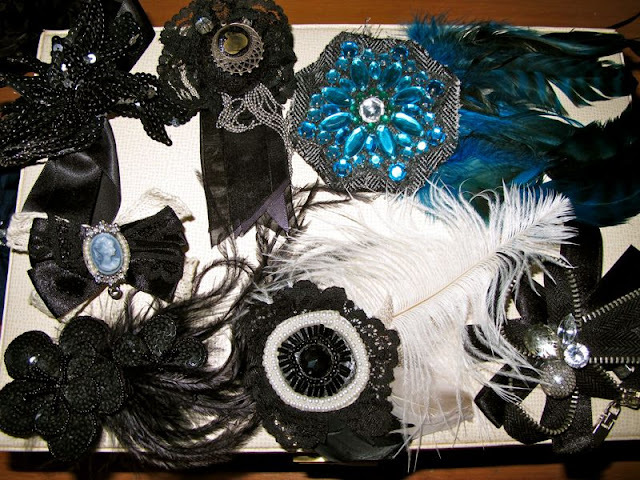 Normally I put these on my blazers..
Okayy..enough about the stuff in that jewelry box.. Now, we move on to another fashion accessories that I store outside the box.. Since I don't really wear head pieces/hairband/head band or whatever you call it thattt often.. So..I don't really need a huge space and compartment for this one.. 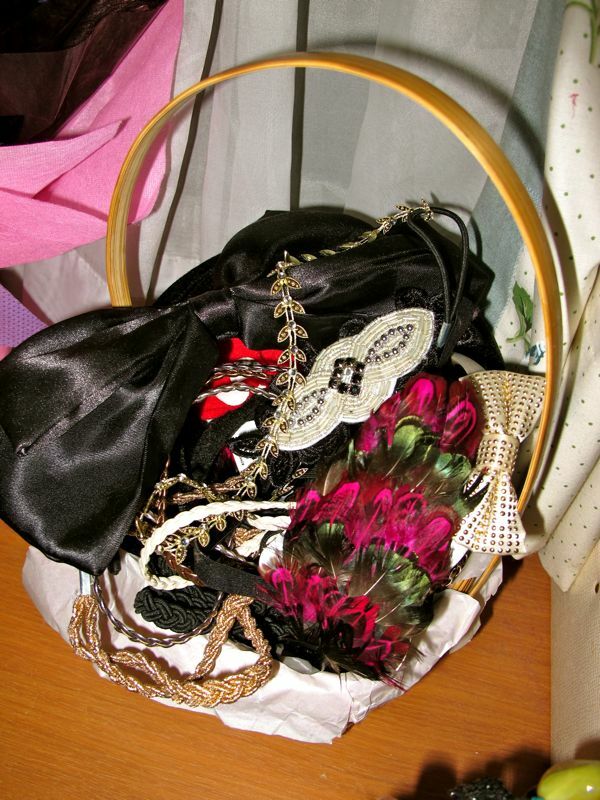 So I stored all my cute little hairband, gypsy head band, etc etc in this small wooden basket.. If you're planning to get one of these, I bought this at Girls Store in KLCC, by the way..
Everything else that are on the table! haha. 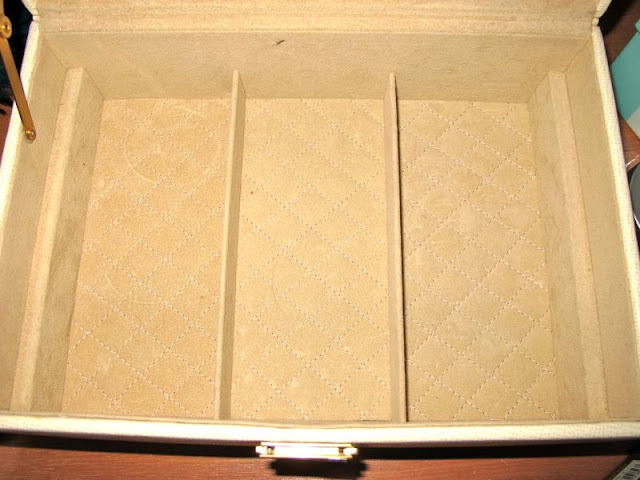 Well I can't really show you girls each and every item in here, can I? I know, you'll be bored reading me blabbering! 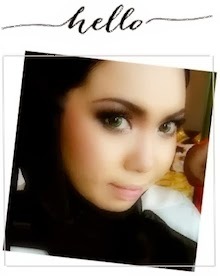 haha.. So I'm just gonna make it short.. 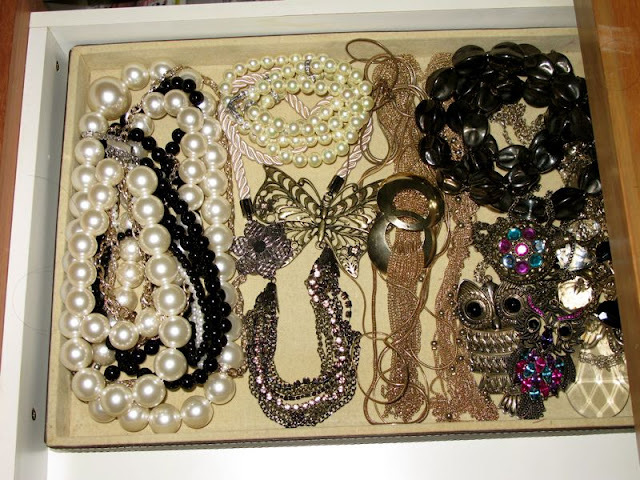 Does any of you have any ideas on how to store necklaces and chains without looking so messy? And next... 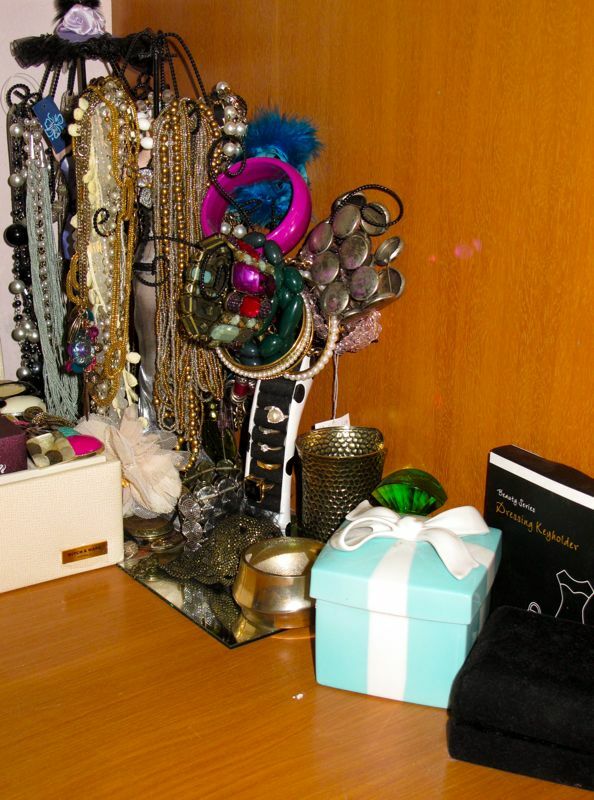 In that blue Tiffany & Co cute jewelry box, I stored all my scrunchies, hair bands, hair clips, bobby pins, etc etc.. While in that black box, I put some miscellaneous items.. So that's it... That's how I store all my accessories! 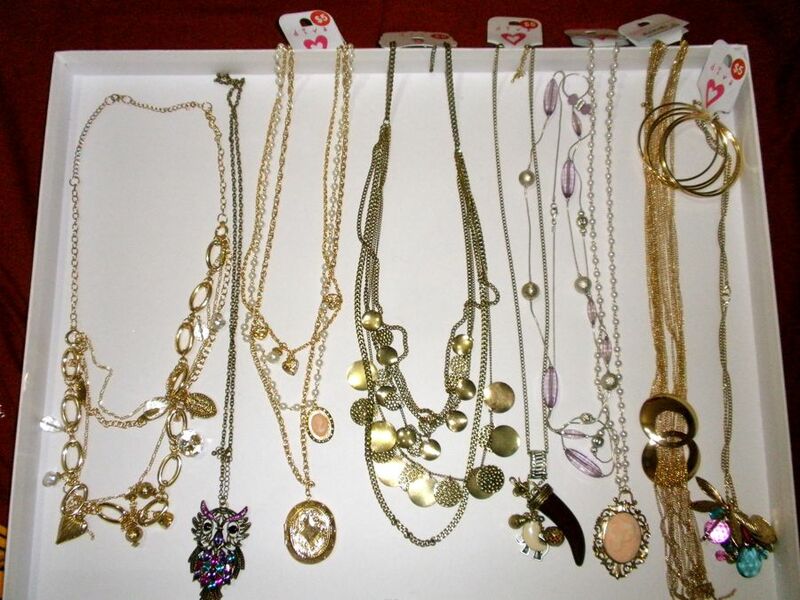 So these are my favourite necklaces! aaahhhh bling2 n girly stuff...i love it,simply gorgeous...byknya items ni wani...k.suzie selalu simpan dlm box tp asing2 ikut items mcm bracelet,necklace,chunky rings etc. Banyaknya Waniiiii! *pengsan* Boleh bukak kedai Diva sendiri. Hehe. 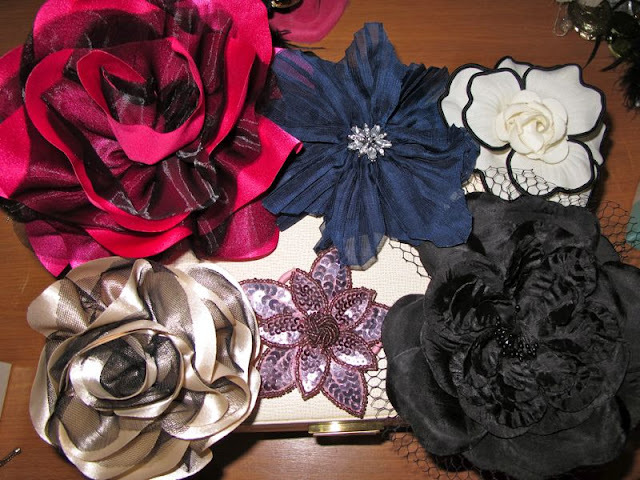 Suka tengok broochesssss tuu. boleh tahu wanie beli kat maner selain diva? hello wanie,wanna share sumthing with u..
i think its better not to put all watches bertimpa with each other coz it can affect their mechanism.. sbb battery la, magnetism laa.. etc.. etc.. nnti cepat rosak..
mybe u could find urself a box to store watches plak.. and actually, ada kedai borong yg jual brg utk display accessories.. dkat2 dgn berjaya times square.. ppl call it Bastow (i donno how to spell it)..
its much more cheaper and lots of choice.. tp dh nama pun kedai borong,u kena beli borong la. like 1 item kena beli 12. mybe u could have a look first. i'll turn to 22y.o dis 24th but i dont know why i looking foward for ur birthday so much.. perhaps bcoz its a 1st time i found someone who is just like me.. and for sure, i LOVE higheels so much..
by reading ur blog, its like my dreamS come true.. sbb ape yg i nak, u ade.. and my fashion sense its nearly same like u.. i got the idea already but couldnt make it real.. sob2.. so, thanks you!! btw, i love toffe nuts also!! bought it for 1st time and fall in love instantly!! and help myself for the 2nd time. 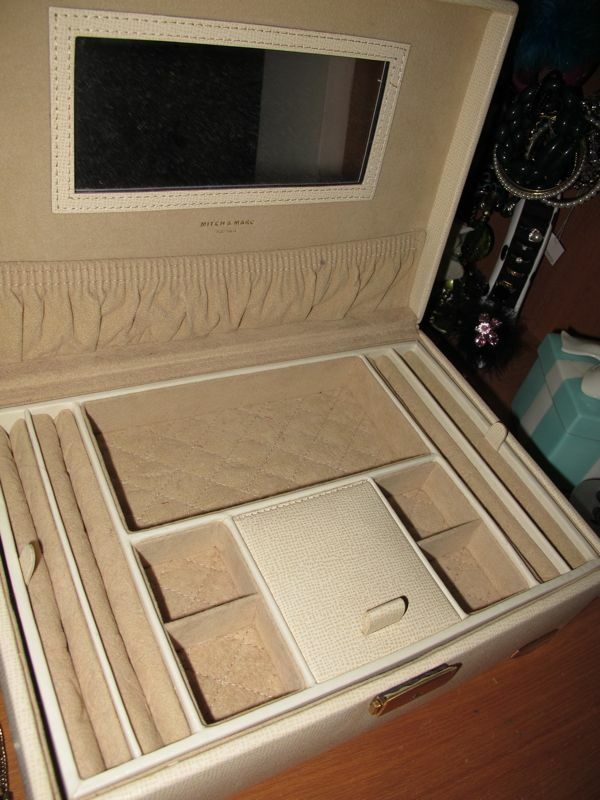 hihiii..
mmg byk giler your accessories, why tak beli jewellery mirror cabinet je..ada mirror plus additional parts for them!